I think it is impossible to read sweet, genuine writing and not feel an immediate kinship with the writer, and a love for the human-ness of their experience - don’t you? Every time I hear a love story from people in love, I fall a little in love with each of them, their story, and the ENTIRE CONCEPT of love all over again. I first met Jess and Jeff for coffee. 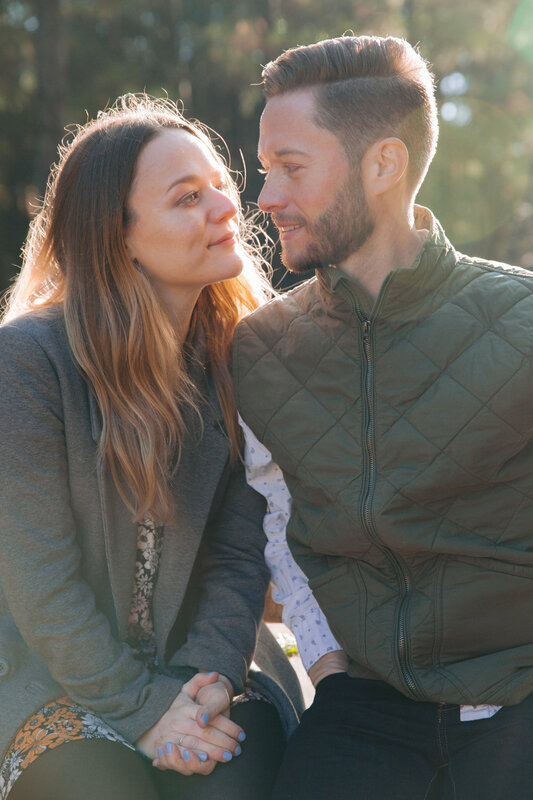 Jess had reached out with an email days earlier, and included the most beautiful postscript with their love story in her own words. Her writing was beautiful - with the flowing pace of a natural storyteller, and the endearing mix of romance and humor that I’m beginning to enjoy as this couple’s signature style! 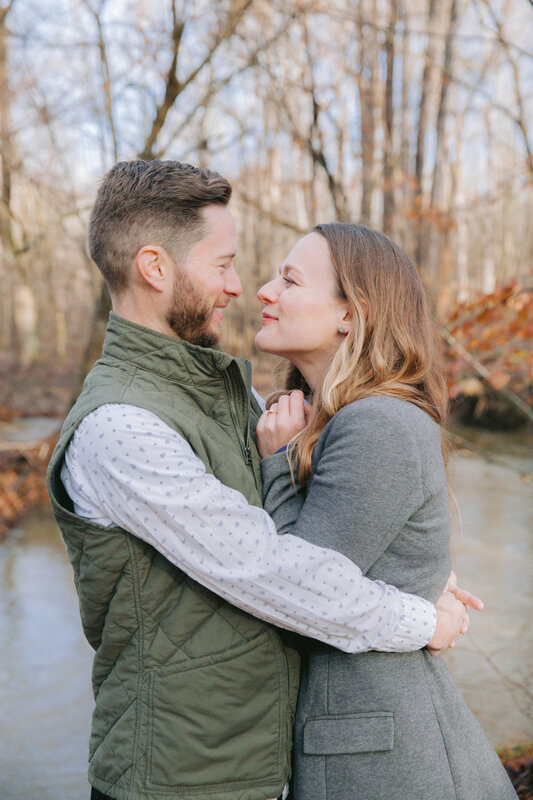 Fast forward to their engagement session! There were no defaults for these two - they dreamt up exactly what they wanted - what was true to them - and created it. 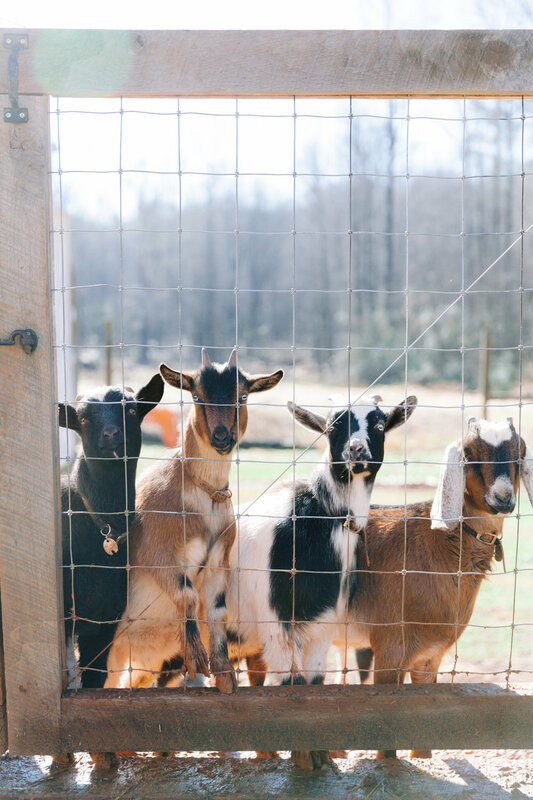 They have forests and farms and a deep love of animals in their history, and as we discussed locations, I was completely swept away by their visions of fields, chickens, goats, and possibilities. 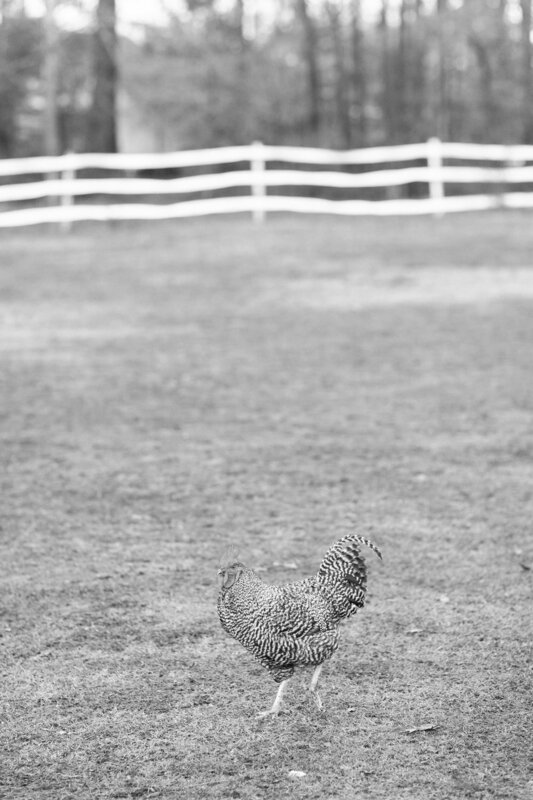 Jess emailed days later to say that she’d found and chosen Spring Haven Farm, a natural and sustainable family farm in Chapel Hill. From the start, Andrew and his son were so kind and welcoming, and went above and beyond to create the perfect experience for them. 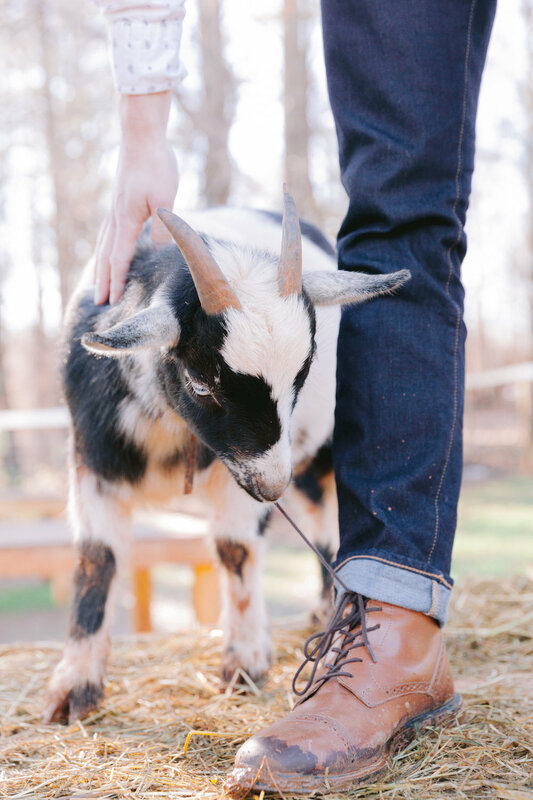 We explored the woodlands behind the farm, walked by the river, and I delighted in capturing the moments as they hand fed the baby goats, chickens, and donkey. The forests, fields, and of course the sweet animals, were all a dream, and it is with sadness that I washed the adorable muddy goat hoof prints off my pants and boots when I returned home! Continue to Part Two, for their portraits at the American Tobacco Campus! This little sweetheart is named Olive, and to know her is to love her. 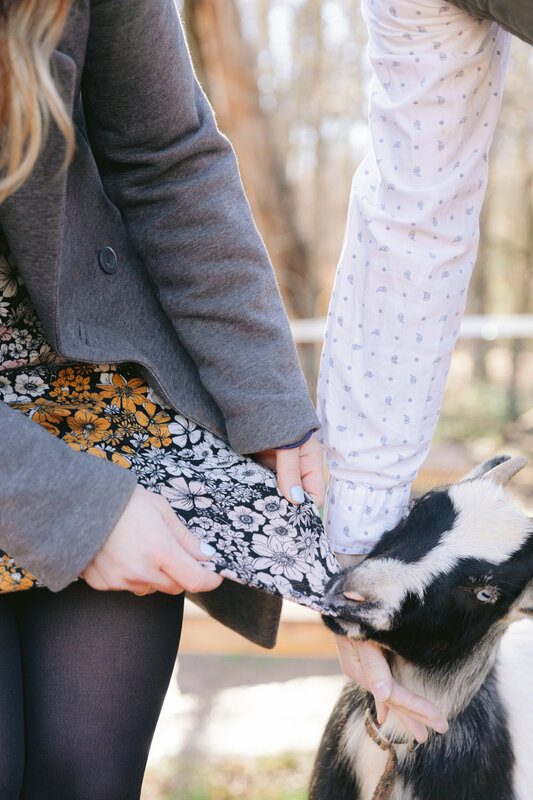 This little black and white sweetheart was the nibbliest goat of the bunch - attempting to eat basically everything that came within a foot of his face…including, appropriately, Jess’s floral patterned dress.